It is predicted that biofuels will make up 5-10% of the global marine fuel mix by 2030 – meaning that biofuels will represent a crucial role in creating a low-emission future for shipping. In the wake of COP 21 and in advance of any subsequent IMO ruling on the environment, it may seem to many that the shipping industry is in limbo when it comes to improving its emissions footprint. On the contrary, ship owners and operators are increasingly looking for ways to ensure that both existing fleets and new builds maximize their business potential, while at the same time keeping up with industry regulation and initiatives to combat climate change. First, there is a tightening range of environmentally conscious legislation coming in to force – including the impending roll out of Emissions Control Areas in China. This adds to existing control areas in North America and the Baltic Sea, meaning that the global scope of this kind of legislation will only continue to expand in the next five years and beyond. In addition, new IMO NOx Tier III requirements will take effect in North American and U.S. Caribbean ECAs from January 1, 2016 for vessels with a keel-laying date on or after January 1, 2016 and an engine output of ≥130kW. And then there is also the European Commission’s Monitoring, Reporting and Verification (MRV) rules to consider: in force from July 1, 2015, this legislation dictates that operators of ships exceeding 5000 GT must monitor and report their carbon emissions on all voyages to, from and between EU ports from 2018. Given these legislative developments, there has never been a better time for ship owners and operators to stand back and re-examine business decisions so as to not fall foul of the new laws. In the case of reducing emissions, there are already a few potential solutions on the market – installing scrubbers, which requires significant investment, for example, or transitioning a vessel to use LNG as a fuel, which not only requires investment, but also has a long way to go before the global infrastructure is capable of effectively supporting vessels worldwide. There is a viable alternative, however, steadily emerging onto the market, with every indication that it is about to shake up the marine fuel mix in a big way. It is predicted that biofuels will make up 5-10% of the global marine fuel mix by 2030 – meaning that biofuels will represent a crucial role in creating a low-emission future for shipping. Sustainable marine biofuels replace fossil fuels and significantly reduce both local emissions such as SOx and particulate matter (PM), but most significantly, they can enable significant reductions in levels of CO2 of 80-90%. It is this emissions reduction that is one of the main draws for ship owners and operators – not only because of the environmental benefits – but because growing numbers of ports across the world are incentivising greener shipping. Some major global ports are now offering incentives for vessels that exceed environmental targets. For example the Environmental Ship Index (ESI), adopted by nearly 40 ports worldwide, evaluates NOx and SOx emissions and rewards vessels by offering a reduction in port dues. In certain ports this has also been extended to include particulates, a group of pollutants that includes carbon monoxide (CO), carbon dioxide and black carbon solids (soot). Shipping is the last of the major transport modes to turn its eye to biofuels as way of becoming less emission-intensive. As was the case in the jet biofuel market, the first volumes are likely to geographically concentrate on where the incentives are. The same “usage hotspots” are therefore anticipated for shipping, in, for example, Western Europe, the Nordics, west coast North America, followed by Australia, Asia and so on. The benefits of biofuels don’t stop there, however; their ability to be used as a ‘drop in’ fuel (put simply, to blend with traditional fossil fuels) is critical, as it ensures that current logistical and operational systems can remain in place and every party can stay in a ‘business-as-usual’ mode. This in turn ensures that sustainable biofuel requires no investment in infrastructure; all that is required is a standard fuel tank and ex-pipe facility at berth or a standard bunker barge. The lack of initial outlay to make a vessel ready to use biofuels is compelling. 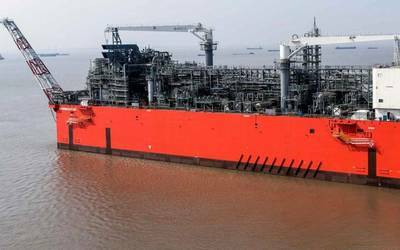 Installing scrubbers or making a vessel LNG-ready costs both time and money – costs that operators can scarcely afford to incur given the current market conditions, especially when low oil prices have now elongated payback projections. Any time spent in port is time not spent at sea – and this is notwithstanding any losses in capacity that may come from refitting a new system, permanently diminishing the profit margin of operating the vessel on every future journey. Furthermore, biofuels are a clean, high performance fuel that produces less sludge waste than fossil fuels, which ultimately means that their usage requires less engine maintenance than ship operators will be accustomed to. Given all of these reasons, the adoption of biofuels is now an emerging strategy – one that is particularly reinforced by their drop-in nature and instant, quantifiable benefits in terms of a reduced emissions profile. Every indication is that, over the next few years, the sustainable marine biofuels market will quickly evolve to cement them as a core component in achieving a more sustainable, low-emission future for shipping. 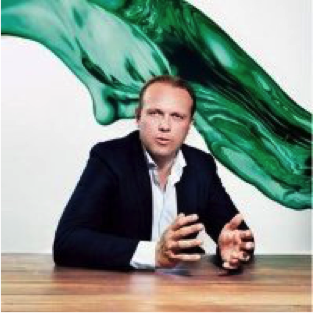 CEO Dirk Kronemeijer founded the GoodNRG Group after pioneering the market of bio aviation fuels with SkyNRG - the global market leader in sustainable aviation fuel. GoodFuels Marine is part of the GoodNRG Group. It is the first company focused on creating the market for sustainable marine fuels and supports the prediction that biofuels will form 5-10% of the total global marine fuel mix by 2030. Dirk Kronemeijer (1974) achieved his MSc in Business Economics from the University of Groningen and he completed executive programs at the International Institute for Management Development (IMD) and INSEAD.